If you don’t see one of your favorite Austin blogs listed that may be because a.) 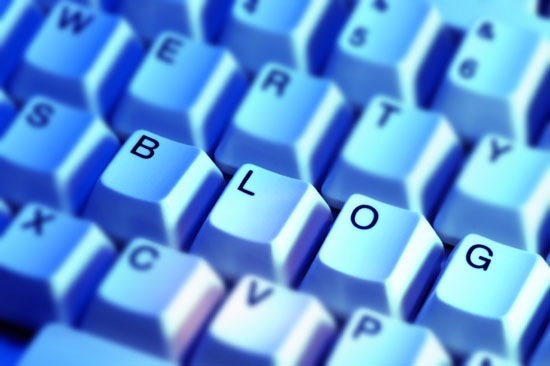 I’m only listing blogs that have blogged within the past six month and blog more than once a month and b.) I’m a jackass, I didn’t know that the blog existed and you should correct me by sending me the URL to your favorite blog in the comment section RIGHT NOW! If I forgot your blog, I promise you, I don’t hate you! Send me your blog URL in the comments below and you can slap me next time you see me in public. I’m another Austin blogger (though I don’t know if I fit in a category)! Love discovering some ones I missed. YES! Let’s do something. We did a BBQ meetup a few months back where we dubbed the term “meat sweats.” It doesn’t get much better than that. I’d be interested in a meet-up too! Christine! I love your blog! You are on the list! I really wanted to create a category called “Fly Fishing Lifestyle” blog. Shameless self-promotion right here, good list of blogs though. YES! I can create a whole new category for your blog! Healthy Living! Thank you so much! I was not trying to fish for compliments, btdubs. Oh just take the complement already, haha, little bit giddy that you included me. And I just added you! How could I forget you??? Ugh. I hate myself right now. When I first started writing this list, I thought, “Don’t forget Leigh Ann’s blog” and I totally spaced. Blah. I’m scared I forgot to list some blogs I love so much! You are on there now! You are such a doll, seriously. I love being able to connect with other bloggers outside my “stereotypical” genre. Woo hoo! Leigh Ann’s right – I do love it! Thanks! What a great list. thanks for the link up. keep blogging austin! No sports blog category? Partial to mine, of course. There is now! I didn’t know about your blog before. I’m glad I do now! Thanks, Phil! I’m an Austin blogger and stuff… I dunno if I’m one of the best – certainly the most foul-mouthed. Can I have my own category? Hi Evin! You are added! Nice to meet you! Heey, we haven’t met yet! 🙂 Ours is a collab lifestyle and music blog between Austin & NY, where I live in Austin. mapsandraps.com Nice to meet ya! Thanks! My blog and I are excited to discover some of these new gems! http://www.festivalcrashers.com under music and http://www.rockloveaustin under dating or lifestyle? So sad not to make your list 🙁 http://whatareyoudrinking.net. But I will certainly not slap you. WUT WUT! Great list, girl. Maybe now that I have more free time we can make this lady blogger meetup thing happen. Love you. One if the things I have loved about moving to Austin is that people actually know what you are talking about when you say you are a blogger. Great list to peruse for new blogs to follow! Hey Amanda! I totally missed your tweet before! I just added you, my dear! YES! Just added you and YES!, can I see the Arrested Development doc with you? Love many on your list already! Hi Priscilla! Thank you for stopping by! So happy to have discovered you! I’ve added you to the list. This is a great list!! I love seeing so many friends and colleagues included here. Great post, lady! Hi Ilene! I added you! And I feel like a schmuck! Yay! Thank you so much for putting this list together. I would love to add all of these links to my website http://www.Austintic.com. We focus on mainly on products coming out of Austin & small business related stuff, but I also blog about other Austin things & I would love to have a link page with Austin bloggers. I follow some of these but I had no idea about many of them. I’m pretty new to this blogging thing & any local inspiration helps, plus our goal is to help other Austinities! Hi, Jo Anne! Thanks for stopping by! Looks like a great site! I can’t speak for everyone, but more links to blogs, the better! We do have an incredible community! So many helpful, generous and talented folks. Feel lucky to live here! Thanks, Eric! Thanks for compiling this list and including me! Love discovering new local bloggers. Hi, Amy! I’d love to meet you sometime! I feel like I’m always talking about getting a meet-up together and never do it. I think I just need to do it! Please add me. I’m from Austin and have been blogging regularly for five years. Hi, Ruth! So nice to meet you and to learn about your blog! I’ve added you and can’t wait to read more! Ruth’s blog (The Fabulous Geezersisters) is AMAZING. One of those blogs I’ll binge on for a half hour or so when my own writing needs to be sharpened. Thanks for pulling this together. It’s a GREAT list for the categories included. Are business, social media, or SEO blogs off limits? If not, please give a look to my work at http://ReturnOnNow/blog/. Of course not! So glad you sent me your link! I’ve created a business category! Thanks, Tommy! I already have a lot of these in my feed reader, but found a bunch of new ones – thanks for putting this together! Hi, Kelly! Of course you qualify! I called this list Austin’s best blogs because ALL of Austin’s blogs are the best! I’ve added you! Thanks for stopping by! Thank you for listing mine! So glad to find some new ones here. I’m an Austinite with a brand new blog (3 months! ), GreatMomentsinParenting.com. It’s what you might call an open blog, where parents can submit their crazy stories about the agony and the ecstasy of life with kids. It’s about to expand to accept essay and photo submissions too! Hope to meet you at a bloggers meet-up sometime. Hi, Virginia! Nice to meet you! What a great blog! I’ve definitely added it to the list! Thanks! Great site. I’ve included it! richardzelade.wordpress.com. All things Austin and the Hill Country. Thanks so much for including my blog “Amy in Austin”. What an honor to have made such a great list. You have it under the dating category, but it probably fits best under “lifestyle”. Don’t want anyone to be disappointed with the lack of dating stories now that I’m in a long term relationship. My old blog “Single Blonde in the City” has better dating stories if anyone wants them. Would love to attend a meet-up for other Austin bloggers! Keep us posted…. Sorry about that, Amy. I will switch it! Would love for you to check out my blog as well, You Stay Hoppy Austin. All things craft beer in the ever growing scene here in Austin! Cheers! You got it, Matt! Great blog! Ha thanks. And its totally a beer blog. I was just channeling Girl Talk. I’m late to this party, but my family blog is all about Austin, with tons of info about hiking, art and live music for kids – growingupaustin.com! Keeping the convo going in 2013! I’m a little late, but love this super cool compilation. Wanted to share my mommy blog austincitylittle.com with y’all. Hoping to be added to the list this year! Great list! My friend Terry (When In Austin) told me about you and this infamous list. If you feel so inclined, I’d love to be added to your list! And thank you for introducing me to so many other great blogs! Great list of blogs! We’re a fashion boutique based in Austin, but I’m trying to get us to blog more. I feel like although we have cute clothes, people like to also be engaged with a blog. Can we join the list? This is a great list, found several good ones I hadn’t seen before. Thanks for putting this together, and I hope you keep adding to it. Ah! I’m so honored as a long time fan and admirer of yours to be included on this comprehensive link up! Thank you! That is one amazing list. I only knew about 1/4 of them. Hi. I’m late to the party. But I’m a food podcaster in Austin and board member of the Austin Food Blogger Alliance. Check out my blog at nosatiation.com. Maybe I can be included in the next version of this list. At any rate, thanks for the list. Very helpful. I would love to be included in your list! I’ve added quite a few of these to my daily reading list already. And please count me in for any meet ups. I’m also an Austin blogger and I love discovering new blogs from here! 🙂 I’m glad there are a lot of great blogs from Austin out there! Thank you for including Tasty Touring in this list! I was just looking at my traffic sources and Hipstercrite is my #7 top source of referral traffic — because of this post I’m assuming! Hi, Lauren! I’ve been blogging about the local philanthropy and giving scene for six years on GivingCity Austin. It’s actually a magazine, too. I would love to be included…somewhere on your list. Thanks for considering! I know this is an older post but I’m surely giving these websites a look through. I’m an Austin blogger too and I blog about sustainability, non-conformity, plant-based recipes, books, self-employment, life’s little adventures and much else. Are there any Austin Literary blogs or things highlighting local writers? The link for the Austin Contrarian takes you to the Greening Austin Daily’s website. A great list. The Downtown Austin blog, and the 365 Things To Do In Austin are two I have frequented quite a bit. I also checked out the Amber Demure blog on tumblr a moment ago. Started following her. Pretty wild blog. I like it wild! Shared your post on G+. Rock on little lady. Just started out a new blog, amishhipster.com. It’s a satirical blog that writes about the hipster world through the eyes of an amishman, Abe Beachy. I just started an Austin blog at http://inatx.co It’s still young but I have high hopes for it, would love to have it added to the list! From some of the former bloggers/podcasters at Spill.com, this Austin based website is for people who are passionate (re:geeky) about all sorts of things. From funny theatrical and home release movie and tv reviews, to sports commentary, crafting, comics, and much more, oneofus.net is building towards being an every-stop for folks from all walks and what they love the most. Love all you Austin Blogger! Will post this blog post to my blog to pass on to my community! Loved “happenin'” upon your site! Very cool and interestin’ info and posts. Can’t wait to read more! i can’t find anyone talking much about men’s fashion, not to mention a blog dedicated to it. Great list! Just moved to Austin and have been looking for great local blogs! We’re proud to be located in Austin and reading all of these blogs! We have a couple of websites in Austin so feel free to reach out to us if you are interested in contributing content. Would love for you to add my blog 🙂 My blog is a lifestyle blog. Thanks so much! No love for Do512 / Do512 Family? Do512Family is definitely top notch! Do512 started out as a blog, does that count? very good list thanks !!!!!!!!!!!!! My friend Kelly just sent me a link to this page and told me I should ask to be added. I would really appreciate it if you’re feeling so inclined! I’ve been running both for a year and a half with no intention of stopping anytime soon. I’m an Austin blogger! I was in last weekends Listen To Your Mother show. I’m more of a humor writer than anything. But when you have “mama” in your title, you get associated with mommy-blogs. I assure you, I’m more than a mommy blog…those chicks make way more money than the nothing I make off of my blog! Thanks, Lauren! I hope to meet you some day soon. We really should have a meet-up! I see I better publish my own list. There are entire categories you don’t cover in yours. My quick count in my RSS reader is 27 Austin blogs that aren’t mentioned above. It’s difficult for me to keep up with them all, so that’s why I ask people to share their blogs with me so I may add to this list. If you create a list, it’s all the more exposure for those bloggers. I am not the blogger for http://www.thrifthorror.com just in case there is question. such an amazing list and I love seeing so many of my favorite peeps on this list! I myself write a lifestyle/parenting/food blog at http://slightly-off-kilter.com and would love to be included if appropriate. Hi Lauren! I really appreciate this list. I like meeting local bloggers and wish we had more opportunities for us all to get together. I’m Two Cannoli at http://www.twocannoli.com. Thank you. What a great resource, thanks so much for compiling this! I would love to have my blog considered for future updates. It’s somewhere between humor and family at thedustyparachute.com. Thanks again! I too am an Austin blogger. It always amazes me how many bloggers there are in Austin. Guess I need to leave my home office more often. My blog reflects on the life incidents of an immigrant working mom. I’d love to have you drop by Notes from Maggie’s Farm if you get a chance sometime. Amazing list, some great recommendations to check out later! Missing some great lifestyle/entertainment ones! Thank you so much for researching Austin bloggers for us. I love your list! I’m throwing my own into the ring. It’s a personal blog that focuses on gardening, chickens, dogs and photography. Enjoy! We merge visual art, fashion and music to create wearable art –all of our sales benefit the artists that partner with us. Trying to make a difference for artists –honored if people would check out our site and blog! I’m excited to discover this list. I’m a blogger now based in the ATX, but you would never guess it from my blog’s name. I write about international family travel. Find me at http://malaysianmeanders.blogspot.com. For lifestyle/family, check out my friend Carla at CarlaBirnberg.com. Austin is lucky to have her! I hope to make the list next time you update this post! I’ve been blogging for three years and things are really evolving over at mybrownsparklez.com I hope to see much more improvements in the coming months! Beauty, Style, Health, Travel, & Culture are the topics! Some girlfriends and I recently launched a Happy Hour Listing after getting fed up with the lack of comprehensive, current, not over-complicated sites to find a good drink special in Austin. We keep a blog of our recent trips with photos and deets at http://www.atxhappyhours.com/by-most-recent and we’d love to be included on your list! Also, if that lady bloggers meetup y’all mentioned becomes (or already is, this post has been up for a bit) a thing let us know. We are definitely interested ! Austin arts and music – photography, poetry and prose. Please share and I will add you to my blogroll too. Thanks. Hey! Thanks for the list 🙂 It’s always nice to run into other Austin blogs. I’m based in Austin and just launched mine about a month ago. It’s general post-grad life tips and tricks with a healthy dose of Happy Hour reviews and Austin adventures mixed in! Fun seeing Tolly Moseley at the top of your list! Nice choice. Another great blog for your family section is this one: Wild Family TV (http://wildfamily.tv). We’re a family-focused film channel here in Austin, Texas. I am an Austin blogger as well, and my blog focuses on health and fitness. I share fitness events, motivational stories, healthy recipes and tips, and write about health related subjects. My blog has been around for almost 2 years now. I have a facebook page, instagram, and twitter as well with followers from all over the place! A food blog that needs to be here is http://www.stetted.com. Yum! Hi I am an Austin blogger, this is my blog http://indousmoms.blogspot.com/ . I discuss everything about life, kids and parenting. Check it out and share your thoughts. I am an Austin blogger, my blog is http://www.thefitgirltalk.com. I share lots of workouts, recipes, motivational stories, and other fitness/health information. Lauren – Great job putting this list together. Even better job writing a high-ranking post. Perhaps not your typical blog, but I run my own business in Circle C (I’m a dentist, my practice is called Southwest Smiles) and I manage a blog on my dental office’s website full of both fun and informative facts about dentistry. There are so many things to learn about taking care of your teeth, my patients are often surprised! I answer questions about why teeth feel fuzzy (http://www.circlecsmiles.com/blog/teeth-feel-fuzzy), what foods are good for your teeth, and I want my next one to focus on bad dental habits. Too many people chew on ice and don’t floss! If you care about your teeth and want to learn more about taking care of them, you should check it out! Hey I work for a tech startup here in Austin called Yobored, we have our own blog at https://yobored.wordpress.com/ we write about our experience as a startup in Austin and things that we just find interesting. Were just getting started, and would love your support! Considering Austin is so health minded, it would be lovely to see a health section up here! Austinites love reading about ways to improve their physical and mental well being. Our blog has information about comprehensive health and cosmetic options (https://www.circlecsmiles.com/blog/hate-smile-cosmetic-dental-options). You mentioned that you’re developing that, please consider us! We value our place in the Austin community. Xlnt list of blogs. Lauren, also, who doesn’t like Jeff Goldblum. The guy is a great actor who deserves more credit. As an old guy, I loved him in Jurassic Park. I’m another Austin Blogger who would love to be added to this list. I’m kinda a mix of lifestyle/fashion/travel/ food…basically I’m all over the place. When I won the lap top I needed, I took that as a sign. So, I retired early, moved to Austin and am now officially an Austin Blogger. I would be honored to be added to your list; https://amoxiegirl.com is a lifestyle blog that uses humor and positive thinking to remind women to “use what you have to get what you want”. Please add http://www.dealsatx.com, I’ve found so many great flight deals on there. My wife runs a home decor centric blog as well. Check it out! I believe that it’s list worthy (but I am clearly biased, of course, lol). Thanks! My blog and I are excited to discover some of these new gems!!! Have you checked out Weedy Bars? Exhaustive list! Thank you for the deets!